Spruce Meadows Christmas Market Great Start to the Holiday Season! Cathy is a tenor and a member of the “Harmonycatz” quartet. She has held many positions in the Chorus including Team Leader. She is a member of the Music Team as Performance and Show Chair. 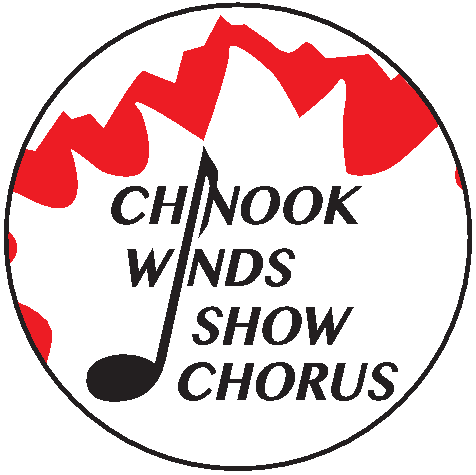 Our Chorus "The Chinook Winds Show Chorus" is comprised of enthusiastic singers and performers that love to share their music. We are very proud that we have been winning hearts and awards for over 60 years! We love to sing and it shows! We invite you to get to know our Chorus and come hear us live and in person! Mission Statement: We are a caring, community-minded group of women singers, focused on the musical art form of four part a capella harmony with each individual dedicated to chorus unity through education, competition and performance. Vision Statement: Chinook Winds Show Chorus is a vivacious and dynamic team! We celebrate our ongoing musical success achieved through the outstanding commitment of our brilliant members.